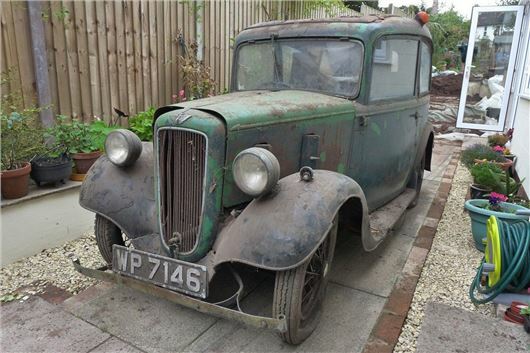 I have just bought a 1934 Austin 7, which is MoT and tax exempt. I am waiting for the registration document from the DVLA in my name. Do I have to do anything to claim either of these two benefits or are they applied automatically, please? Some owners apparently have a voluntary MoT for safety. Can any MoT garage do this form of MoT or do we need to use a specialist? I have an Astra VXR with 19-inch wheels and 235/35/ZR19 tyres, which are a bit extreme and vulnerable to pothole damage. I am looking at a wheel/tyre package deal of 17-inch wheels with 225/45/17 tyres. The Astra owners manual has this option listed, but with the caveats of ‘only permitted as winter tyres’, and ‘speedo re-calibration needed’. The VXR as standard comes with 18-inch wheels, with the 19-inch as an option. Would there be a problem fitting 225/45/17 wheels and tyres? The costs are far cheaper than 19-inch options, and I could sell the old wheels on eBay. Depends on whether the 17-inch wheels will fit around the front brakes. Use this to compare the rolling circumference of the tyres: https://tiresize.com/comparison/ The 225/45 R17s will revolve 832 times a mile compared to the 235/35 R19s that will revolve 816 times a mile (so less than 2% difference and not worth worrying about). I purchased a pre-registered 2014 XF Sportbrake 2.2 diesel from a Jaguar dealer in 2014. It came with a 3-year service and warranty package included and is a superb vehicle in every respect, riding comfortably on 18-inch wheels. It now has only 19,500 miles recorded. The warranty runs out on December 1st and Jaguar has quoted £934 with breakdown assist or £849 without assist for 12 months extended warranty cover. This includes 7-day car hire cover, which is not required. I understand 3rd party cover is about 50% of these costs, but with possibly more fine print exclusions. The only issue I have had to date is a chafed parking sensor wiring loom behind the front bumper which took 4 days to locate and fix for a £15 part. The labour cost must have been extortionate if I had to fund it. I understand that the emission control valves on these engines can fail after 20,000 miles and are expensive to repair. Do you have any knowledge of this? I realise I would be purchasing peace of mind extending the warranty but am concerned that the insurers would try to escape any claim in small print. I previously had 5 years extended warranty on a Honda Accord at £350 PA with one claim of £150. So the maths were not favourable in this case. What are your thoughts for the Jaguar? My wife's £44,000 2017 VW Tiguan 190PS 4 Motion R-Line has a horrendous metallic grating noise emanating from the drivetrain that has been evident from new. After lengthy investigations lasting several weeks, both VW and the selling dealer have described the aforementioned ‘noise’ as a ‘characteristic’ and ‘normal DSG operation noise’. However, they are refusing to declare why the noise is evident on some cars but not on others, and also which component the noise is emanating from. Something to hide? Seriously not VW, surely? I have during the past 8 years spent in excess of £250,000 on VAG products so you could guess that I am a loyal customer. Unfortunately and due to VW’s reluctance to resolve my wife’s concerns with her Tiguan, I have been left with no alternative but to appoint a independent DEKRA automotive engineer who, contrary to VW and the selling dealers opinion of the noise being ‘normal operation’ and a ‘characteristic’ has concluded there is a terminal drivetrain defect. I have test-driven 4 Tiguans for comparison purposes and out of 4, 3 exhibited varying degrees of noise, so there is no consistency, but apparently quite a few cars are affected. Some owners have contacted me from as far a field as Australia and Iceland. At this present time, my case files have been passed to the Financial Ombudsman due the condescending attitude of VW Financial Services and the selling dealer. My wife's new Ford Fiesta 1.0T Ecoboost was delivered in June this year with a petrol filler flap that does not lock when the car is locked. The salesman said this is absolutely normal. Can this really be true? The handbook says it should lock. That's how they are. It's actually very difficult to get past the anti-misfuelling Easyfuel filler neck without inserting the special funnel supplies with the car. I currently drive 20,000 to 25,000 miles a year, mostly on the motorway, currently in a non-company BMW 3-Series Touring 118d. I'm looking to replace my car, ideally with another estate, but am worried about the taxes on diesel vehicles. I currently get about 50mpg. Unfortunately I do not have access to off-road parking at home, and therefore no electric charging point. What are your suggestions for a similar replacement? I just bought a 2016 model Toyota Yaris 1.0. The strange thing is I fill the tank every time but it doesn’t last. I’m stressed. Now I need some advice please? Small tank. It should be doing about 50mpg, though less if it is only used in town and suburbs. Fill it up to the brim. Write the mileage on the fuel receipt and keep the receipt. Then, next time you fill it up to the brim, write the mileage on that receipt. Subtract mileage 1 from mileage 2 so you know how far you went on the fill. Then multiply the litres of fuel you put in by 0.22 to find out how many gallons. Divide the distance by the gallons and you will find out your Real MPG. Jeep Grand Cherokee models seem to offer good value on the used market and I understand some are fitted with a Mercedes engine. With a maximum budget of £10k are there better alternatives please? My 36,600 mile 2009 Citroen C4 has developed an oil leak. The garage says, "it's engine out" to replace a gearbox shaft seal. What else should I consider replacing before a re-build. I intend keeping the car a further 3 years. You have no choice. They have to take the engine and transmission out to gain access to the shaft seal. If the engine and gearbox have to be separated then best to have a new clutch fitted at the same time (and a new DMF if it's a diesel) because most of the cost of these is the labour of removing the gearbox to fit them. My 2011 Toyota RAV4 2.2 D-Cat Auto is due some new tyres. Currently it's on 235/55 R18 Bridgestone Dueller H/T 687s. I find them a bit noisy, and as I never go (or am unlikely to go) "off road" can you recommend something quieter? Happily Michelin does Cross Climate SUVs in 235/55 R18 104 V XL. These are more compliant so improve ride and steering and are much quieter, in addition to their cold weather benefits. I have driven down an 8-inch deep pothole and caused massive and expensive damage to my Morgan’s suspension. Because the car is in regular use I have had it repaired. Have I jeopardised my chances of making a successful claim against my local authority by not getting an engineer’s report on the damage prior to the repair? No. All you need is a detailed invoice from the repairer. However, this does not mean you will win your case. it depends on whether the pothole had been previously reported and whether the council had been negligent by leaving it for weeks and not filling it in. Try fixmystreet.co.uk and potholes.co.uk in addition to the council's own pothole reporting website for that evidence. I am about to buy a 2016 Audi A4 avant 2.0 TDI. They have some where the engine is called Ultra and some not. No one in the dealership could tell me the fundamental difference in performance. Ultra does not denote the engine. It describes the trim spec. You can gat a 2.0TDI Ultra with either the 150PS or 190PS output EA288 2.0TDI engine. I recently took my 11 year old Skoda Octavia to a garage (that (specialises in Skoda but is not a franchise) because the seat belt alarm was pinging almost non stop. They turned it off via the car’s computer. Now the low fuel warning has stopped working, are these connected please? No. It could be they disturbed something else, but you should not regularly drive a car on low fuel anyway or you run the risk of blocking the fuel filter with debris from the bottom of the tank. I am on a tight budget and I need to scrap my old diesel MPV as it's costing me too much money to run it. It would be sad for it to go but I have no choice. It's been stated that by 2040 all petrol and diesel cars will be banned, plus some councils will have to start C.A.R zones. The message is very confusing. Not everyone will afford to buy an electric car. Is this just some silly politics? I understand the health issues of diesel cars. I am looking into scrapping my MPV and thinking of buying a Dacia Duster, which I can exchange in a scrappage deal. There are many garages who sell brand new Dacia Dusters. Should I barter with the price they are offering minus the scrappage deal? For example, if a Dacia Duster is costing about £9k minus the £2k for scrappage, should I ask for more discount? What price should I offer? Also, are there any Dacia models I should buy in the Diesel Duster (or petrol range)? I have been checking the reviews of Dacia Duster not very impressive. From 2040 it is proposed that the sale of all NEW diesel and petrol engined cars will be banned. Not that existing diesel and petrol cars already on the road will have to be scrapped. And not that pre-2010 diesel can petrol cars cannot be bought and sold. But, according to their emissions ratings, they will face increasing restrictions on where they can be driven. Effectively, a scrappage deal is a generous part-exchange allowance for an old car that will not necessarily be scrapped afterwards. The dealer will get as much as he can for it. I don't think a Dacia dealer has any more money in his pot to give more than a £2,000 scrappage discount. Worth asking, of course. Just don't expect too much. My Skoda Fabia Estate 1.6TDi 105 (not yet adjusted for NOx emissions) recently developed a fault which has been diagnosed as a problem with the EGR and I have been told by a Skoda franchise the replacement valve and work will cost almost a thousand quid. Separately, I have it on good authority from another dealer that this has been a recurrent problem and the part number has been updated/superseded 4 or 5 times and at one stage it was felt to almost warrant a recall. As the car was delivered new in Jan 2011 and my mileage has been relatively low (some 52,000 to date) the car is out of warranty and Skoda is saying that it is simply wear and tear. Have you been aware of problems with this (presumably VW) engine and its EGR? EGRs have been a problem with VAG 1.6TDIs for a long time, years before the NOx emissions scandal broke and I have been constantly repeating that VAG should replace them FoC because the sheer number of failures suggests that the parts are fundamentally not up to the job. But had you put your car in for the NOx emissions update as requested and, had it not worked, the dealer would have been obliged to replace the EGR FoC. As it is, morally, he should replace the EGR. But he is not legally obliged to. I am thinking of buying a 2003-2009 Jaguar XJ for sentimental reasons as a second car. I love the shape and think of it as the last Jaguar still retaining the influence of Sir William Lyons. I intend to keep it some time because I reckon in future it will be regarded as a modern classic, especially when we all drive electric or hybrid cars . Also, I thought to myself it should resist rust well, being made of aluminium. However I have been told they also used steel rivets in its construction and these rust. Furthermore if you get salty water on the metal the car could be prone to electrolysis. Have you heard of any problems of this kind, and if so any cures? Surely Jaguar would have been aware of these potential issues. Finally, having regard to all of the above, what model would you recommend? I am thinking of the pre-facelift 4.2. My current car is a 2005/54 Rover 75 2.0 CDTi 131PS Connoisseur Tourer, which I have owned for all but the first three years of its life. Present mileage is a relatively meagre 71k and it has a full history from the word go. As a mid-octagenarian my thoughts lean to keeping the car until either one of us expires. In view of its likely status as a vintage vehicle and, conversely, the current thinking on diesel cars, what would be your thoughts on the situation - and what might be a suitable replacement? Routine journeys are relatively short (12-15m) with one or two much longer ones each year, when I carry our miniature railway equipment (locomotive and two wagons) to society gatherings. Keep it and continue to enjoy it. When you come to sell, it will have some 'modern classic' status and may be worth more than it is now. The retro styling was based on Raymond Lowey’s renderings for late 1940s Studebakers that Rover copied for the original ‘Cyclops’ 75. Regarding my query about car insurance, do you get many complaints or comments about LV=? For several years, LV= seemed to be the best (though it may have been ‘buying business’). What has happened is that LV= has amalgamated with Allianz and is no longer the LV we knew and loved. Other readers have been switching from LV= to Direct Line (https://www.directline.com/car-cover#id=78436) and saving money (though, of course, Direct Line might now be ‘buying business’). I 'loved' the comment from the snowflake MK about their Yaris - don't they know how to calculate something as simple as mpg? Don't they realise that when you buy a small car, you get a small fuel tank? Its not as though HJ hasn't given this advice before, or that it can't be found on the interweb through the likes of a Google search. I bet they havent even been filling the tank and instead, thinking it was full when the petrol pump at the supermarket 'switched off'! My wife's 65 reg Twingo is a great little car but if you try and fill the tank, the pump frequently switches off and you have to fill it s-l-o-w-l-y.